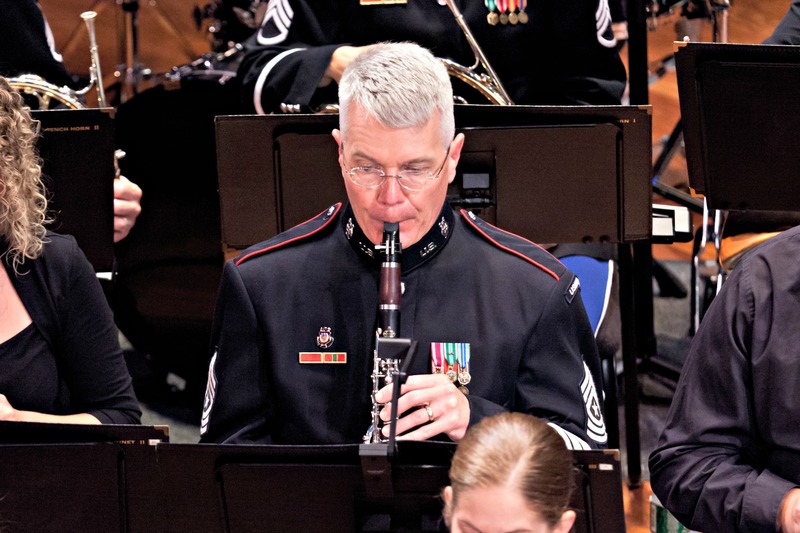 I’m Christopher Jones and recently retired after playing clarinet 26-years in the U.S. Army West Point Band at the United States Military Academy, West Point, New York. I've recently located further North in New York State near Watertown very close to the Canadian border. My degrees are a Masters of Music in clarinet performance and conducting at New Mexico State University in Las Cruces and a Bachelor of Music in Music Education from the University of North Alabama in Florence. 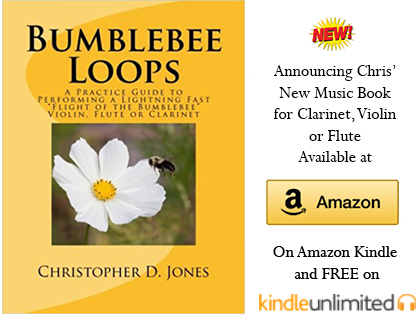 I've published my new book entitled Bumblebee Loops - A Practice Guide to Performing a Lightning Fast 'Flight of the Bumblebee' for Clarinet, Violin or Flute on Amazon.com. You can also read more about the book at Clarinet-Now.com here. You can see video demonstrations and exercises of the Bumblebee Loops here. Other career highlights include performing the Copland Clarinet Concerto with the Northern Dutchess Symphony Orchestra in Hyde Park, New York, under the direction of Kathleen Beckmann. Over the years I've performed in numerous clarinet quartets premiering works by Paul Harvey and Robert Baksa. I also served on the music faculties at Nyack College and Marist College. Probably the chamber music highlight of my life was performing the Brahms' Quintet at the Music FestiValGardena in Ortisei, Italy. In 1992 I was finishing my Masters of Music degree in Clarinet Performance and Conducting at New Mexico State University. My plan was to become a band director in a High School and work my way into college. Now, I had had success throughout my young clarinet career in making Alabama All-State Bands, getting college scholarships and assistant-ships, etc... and wanted to take my experience to another level. I knew about the Special Bands of the U.S. Military and decided to go audition for a few bands. I felt my chances were low. One of my prime reasons to audition was not only a chance at a great career, but I wanted to set an example to my high school and college musicians (in the future) to go for a dream even if you think it impossible. So, I went for the U.S. Navy Band in Washington and didn't win it, then the U.S. Army Field Band in Maryland and didn't win it, and then the West Point Band in New York and won it. That was the spark of a magnificent 26-year Army career where I played for five U.S. Presidents, many heads of state to include Pope Paul II and Queen Sofia of Spain, played in nearly every large sporting venue on a regular basis in the New York City area (the old and new Yankee Stadiums, MetLife Stadium for the Jets and Giants, Army sports, USGA, and the NASCAR Pocono Speedway). I rose in ranks to become the Band's Marching Band Drum Major and then the Concert and Marching Band Element Leader. As a Drum Major, I was able to lead the band in the three major New York City parades: Veterans Day, Columbus Day, and the 2016 Macy's Thanksgiving Day Parade. Artistically, my career highlight was performing side-by-side with the New York Philharmonic. For the fourth of July concerts in 2008 and 2010, the West Point Band played concerts with the NY Phil at Avery Fisher Hall in Lincoln Center under the direction of Bramwell Tovey. The Philharmonic played the first third of the concert, the Band the second third, and then we combined forces to play a number of American marches and the Armed Forces Medley. The audience roared with applause on these events to some uniquely surprised NY Phil musicians. Other high profile highlights were playing in Carnegie Hall in 2002 for the Academy's Bicentennial. 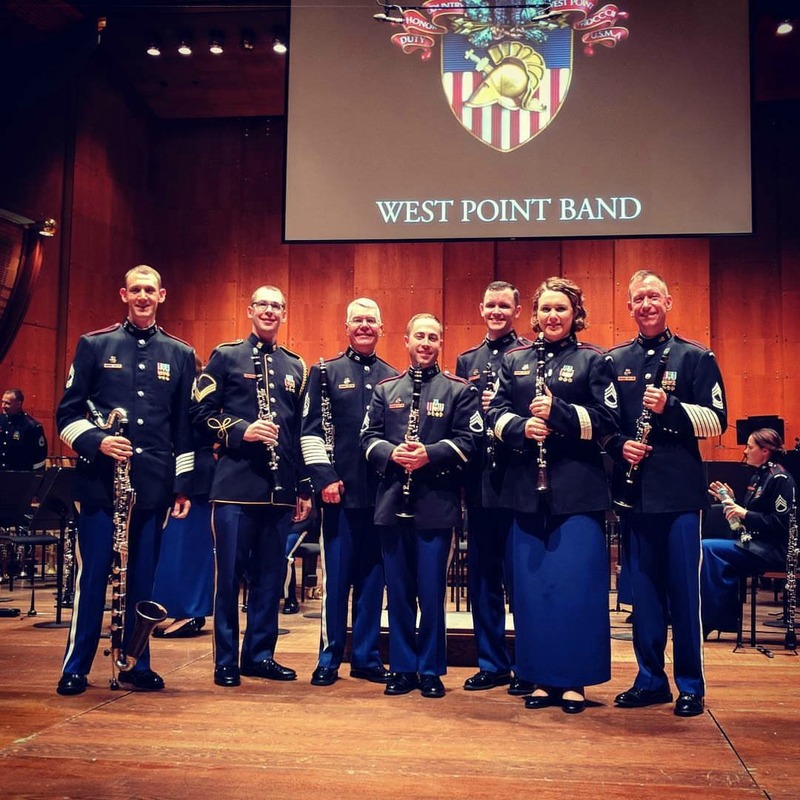 Years later in 2017, the West Point Band celebrated its Bicentennial in Lincoln Center. I can not go without saying that many, genuinely wonderful musical moments and experiences were made throughout my career for small audiences in weird places like parking lots and county parks and high school auditoriums. And, many more special moments were made in chamber music groups for libraries, schools, live radio broadcasts, and jobs I call, "Music to be ignored by, gigs." But, what was the big one? Well, having applied for the Macy's Thanksgiving Day Parade to happen in 2016, I worked with the parade director Wesley Whatley and asked if the West Point Band could perform on the Macy's Fireworks that Fourth of July. He said it was covered for that year and I knew I didn't quite understand the production that went into it. Later that year, he called back for the band to play the 2017 fireworks soundtrack. 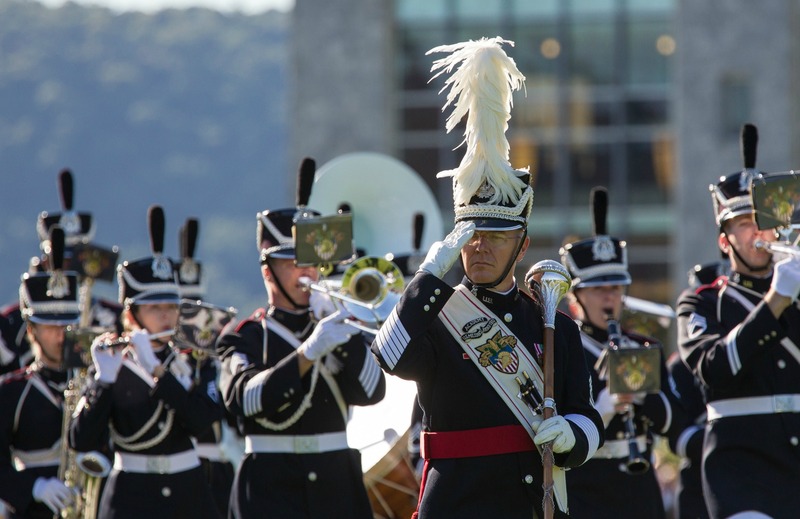 From the New York Times, West Point Band at 200: From Fife and Drums to Live Streaming, by Corey Kilgannon. From Forbes, Three Lessons From West Point: Great Leaders Know How To Listen, by Don Yaeger. 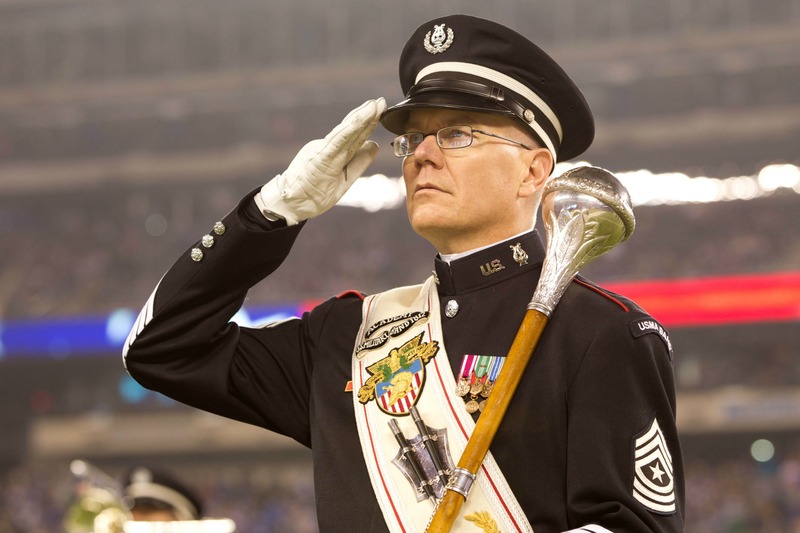 From USA Today, West Point Band represents Military Academy at halftimes and around the world, by Tom Schad. Needless to say I was proud to be a member of the West Point Band and even more so to be one of the leaders of this great institution.